Today we’re happy to announce that BitPay merchants can now accept payments in Bitcoin Cash (BCH). It’s now easy for BitPay merchants to do business with a growing, passionate community of Bitcoin Cash users and accept a currency with a market cap of more than $15 billion. Adding support for Bitcoin Cash is another important step in our vision for blockchain payments. 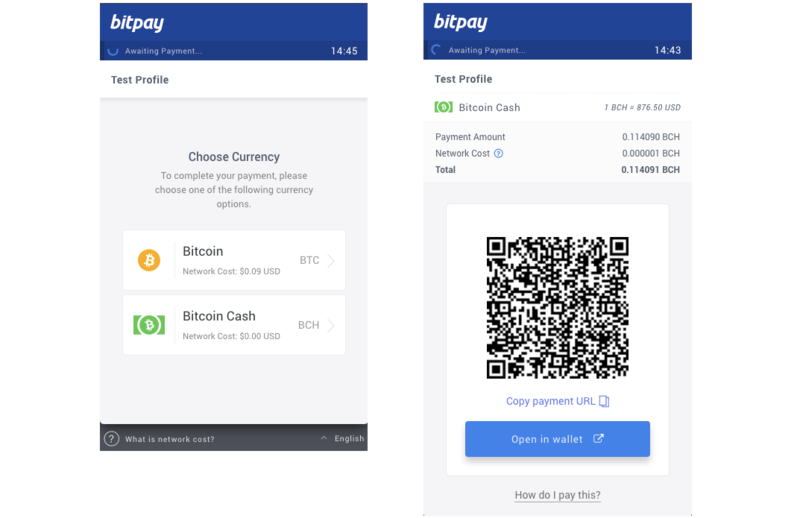 BitPay merchants can already immediately accept Bitcoin (BTC) from users around the world. By adding functionality for a new payments blockchain like Bitcoin Cash (BCH), we’re expanding the reach and scale of our merchants’ BitPay checkout experiences. And since Bitcoin Cash costs only pennies (or less) for customers to send, it’s great for BitPay merchants who want to accept blockchain micro-transactions for things like video games, food delivery, or app downloads. When our merchant’s customers choose to check out with BitPay, they’ll now see the option to pay with Bitcoin (BTC) or Bitcoin Cash (BCH). They can make a selection and continue to payment with the currency type that works best for them. We are continuing our work to make great blockchain payment experiences for businesses and their Bitcoin customers. Now we’re excited to continue building a great payment processing platform for Bitcoin Cash also.